Students those who availed medical leave for current semester are directed to Submit medical certificate and request letter to respective tutor on or before 17-11-18. Late submissions will not be processed through KTU Portal. You may note, attendance relaxation is restricted to two times within a program. 2. Request letter to principal. 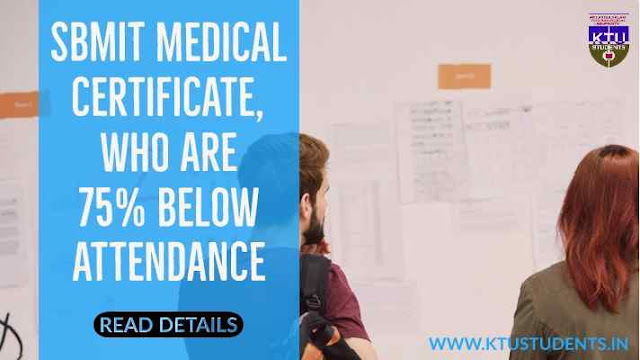 Ktu Submission of Medical Certificates, Students those who availed medical leave for current semester are directed to Submit medical certificate and request letter to respective tutor on or before 17-11-18. Late submissions will not be processed through KTU Portal.